“Singin’ in the Rain” is more than just an old-fashioned Hollywood musical: it is about the movies themselves. Think of it as “The Artist” without the Act Three problems. As someone who puts musical just slightly above romantic comedies starring Ashton Kutcher, it is hard not to fall under the spell of “Singin’ in the Rain,” from “Good Morning” to the titular musical number. “Singin’ in the Rain” is about why movies needed sound, and it’s also about why we need the movies in general. The Oscars have a reputation for awarding musicals that became stale with time, so why didn’t it nominate one that has become an everlasting part of popular culture? Most of Hitchcock’s best movies were dissed by the Oscars. Even “Psycho” and “Vertigo” didn’t make the Best Picture shortlist. His “Rear Window” is his most entertaining, most satisfying movie. “Rear Window” is the master in his absolute element. It crams as many stories as it can into one movie without actually cramming them in. “Rear Window” is suspenseful in any scene, even if it is just a couple seen fighting through a window, and not Grace Kelly running from the murderer. On top of that, it displays Hitchcock’s genius black comedy. In the scene in which a husband and wife have difficulty moving a mattress into their apartment, Hitchcock switched the headsets feeding instructions to the two actors, so they would move in the wrong directions, and create a brief sigh of slapstick relief. Oscar winners should be influential in any year, and I can’t even count the amount of sitcoms who have knocked off this plot. It seems unbelievable that John Ford’s greatest movie didn’t get a single Oscar nomination, and the winner for Best Picture that year was “Around the World in 80 Days” (which was later remade into a movie with Jackie Chan). For the time, “The Searchers” was a change of pace from the typical Western, and Oscars are all about tradition and stability rather than change. Monument Valley has never looked this stunning, and John Wayne never felt as racist and as human in any other role of his career. “The Searchers” would not only fo on to inspire future westerns. Without it, there would be no “Taxi Driver,” “Saving Private Ryan,” or even “Star Wars.” “The Searchers” figured out that the western hero (or in this case, anti-hero) can exist in anytime, in any place, but will always remain an outsider. Yet another masterpiece that went totally unnoticed by the Academy. “Touch of Evil” will leave you in a speechless state of thrill from the moment the camera first pans through a busy street, to a bomb going off. You know it’s going to happen, but the best part is that you don’t know when. “Touch of Evil” contains some of Orson Welles’s best work as both an actor and a director, and it was the last truly great film noir of the classic era. Its greatness cannot be dampened by the fact that it includes Charlton Heston playing a Mexican. It is actually understandable why “Once Upon a Time in the West” was a flop when it first came out. Paramount chopped down its epic running time for its US release, and American audiences were not treated to the masterpiece they deserved to see. I will argue that “Once Upon a Time in the West” is better than any western either John Ford or Howard Hawks ever made. Its opening conveys so much without saying a single word. For its regard for silence, sweeping score, and the pure scope of it all, “Once Upon a Time in the West” will be one of the greatest movie viewing experiences you’ll ever have. It even has Henry Fonda, doing a flawless job going against-type, ruthlessly shooting a child in the face. Tom Joad, no more. Oscar voters had no interest in taking a trip into another dimension. Their loss. “2001: A Space Odyssey” is essential viewing not just for any film buff, but for any human being. Stanley Kubrick probably knew that this movie wouldn’t answer the question of what the meaning of life is in one simple word. I like to think that Kubrick truly knew and hid it in any frame of this movie, and after a certain number of viewings, maybe it can be found. But until that happens, let the jaw dropping visuals unfold before you. After the credits roll and the star baby has faded, you might cry, you might throw a fit, or you could do anything else in between. Best Picture seems to be about the movies with mass appeal. It’s about time to pick a nominee that not everyone can get behind. Understandably, the Academy wasn’t too pleased with a movie about hippies taking over. The motorcycle riding outlaws of “Easy Rider” was the New Wave coming in to save Hollywood from a crumbling studio system. The rednecks, meanwhile, were the cranky old voters, minus the shotguns. “Easy Rider” proved that filmmakers no longer needed the system; all they needed was a story, a camera, and maybe a good weed hookup. This movie broke ground in so many ways, perhaps most memorably for its soundtrack, which started off with Steppenwolf’s attention-grabbing “Born to Be Wild.” The messy, handheld camerawork actually adds to the movie. Never has imperfection seemed so perfect. But most importantly of all, “Easy Rider” includes a very high Jack Nicholson talking about aliens. It is just as good as it sounds. Hollywood loves message movies, but for some reason they only enjoy the preachy ones. “Crash” won in 2005 for informing the world that racism is bad, and it makes a few rich white people living in L.A. feel sad. 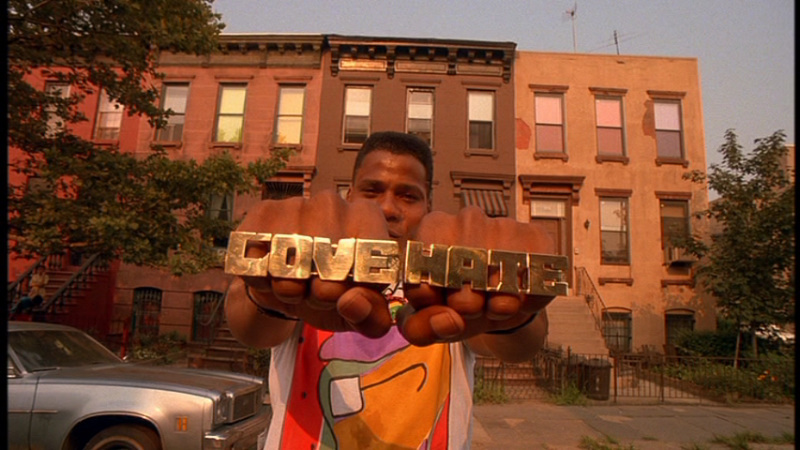 Sixteen years earlier, Spike Lee’s “Do the Right Thing” was released amidst a storm of controversy. It earned ecstatic praise from critics, but it barely made a ripple at the Oscars. To this day, it remains the most provocative, daring, and funny movie about racism that I have ever seen. The best part about it is that it is not necessarily about racism, but a movie about situations in which race may or may not have been the ultimate cause of them. Of course, the Oscars want definitive answers, not ambiguous ones. And especially not ones with this much energy pumping through them. Some movies that earn respect over time might take over two decades to do so. “Children of Men” elevated itself in just a few years. “Children of Men” is the most realistic portrayal of a dystopian future ever to be put on film. It strikes so many emotional chords and in the end, it is a movie about life, not death. It also has some cinematography that is downright groundbreaking, with the camera moving at the nonstop and unpredictable pace that mankind’s fate is headed in. The world may very likely be approaching the future “Children of Men.” But until now “Children of Men” is your’s for the darkest futuristic road movie you’ll get to see. This entry was posted in Academy Awards, Alfred Hitchcock, Comedy, John Ford, Orson Welles, Oscars, Spaghetti Westerns, Top 10 on February 24, 2012 by ian0592.